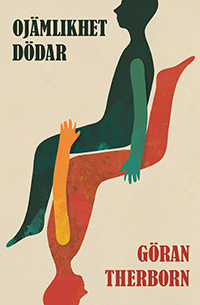 This second volume aims at the civil society challenge to the welfare state since 1988, or ”the lost world of social democracy”. 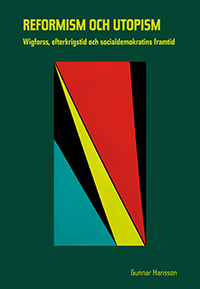 It opens with an overview of the three generations of comparative welfare state research, from Harold Wilensky to Gøsta Esping-Andersen, Theda Skocpol and onwards. Inspired by the work of Norbert Elias, Karl Polanyi, and Stein Rokkan as well as by Benedict Anderson, Tom Nairn and Elinor Ostrom, the civilizing process and embeddedness of the welfare-industrial complex are scrutinized. The author’s key concepts are imagined welfare communities, and common pool resources in (civil) society and state. 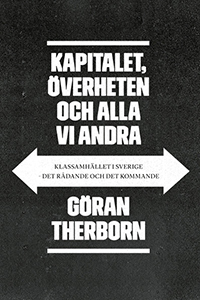 Privatization trends in Sweden – from take-off to bonanza – and domestic resistance to the powers of the day are then lucidly assessed, and the simultaneous deconstruction and reconstruction of a once famous welfare state is elaborated with force and vigour. Finally, the cross-national Scandinavian differences are outlined. The five essays of volume II emphasize the historical relativity of social welfare institutions and argue against all developmental metaphysics. 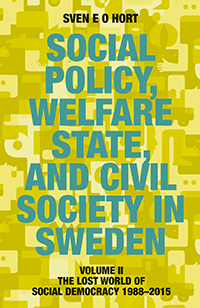 This work is an updated and enlarged edition in two volumes of Sven Hort’s well-known and wide-ranging dissertation Social Policy and Welfare State in Sweden, published under the author’s birth name Sven E. Olsson in 1990. 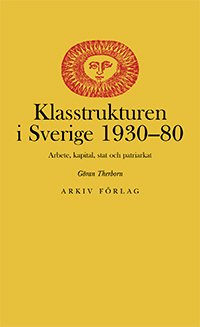 The first volume contains the original four essays and covers the formation and evolution of the Swedish welfare state 1884-1988. Sven E. O. Hort is Professor in Social Welfare at the College of Social Sciences, Seoul National University, Korea. He is an alumnus of Lund University. 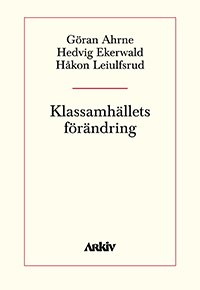 In Sweden he taught sociology at Linneaus and Södertörn universities. Currently he is the chief editor of the Swedish journal Arkiv. Tidskrift för samhällsanalys and a deputy editor of European Societies. With Stein Kuhnle he is the author of ”The Coming of East and South-East Asian Welfare States”, Journal of European Social Policy (2000).